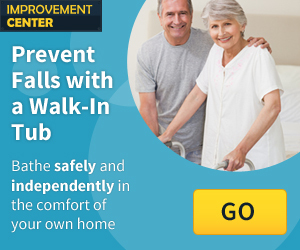 What do Nursing Homes offer in Livonia, MI? In Livonia, MI nursing homes are facilities, other than a Hospital Long-Term Care Unit or a county medical care facility that provides organized nursing care and medical treatment to seven or more unrelated individuals suffering or recovering from illness, injury or infirmity. Nursing Homes do not include a unit in a state correctional facility, hospital, veterans facility, or Hospice. Nursing homes sole purpose is to provide residents with all their needs, and facilitate healthy lifestyles and choices. These communities provide skilled nursing care and rehabilitative services to serve residents. Care services that may be provided include rehabilitation services for the rehabilitation of injured, disabled, or sick persons, and is not primarily for the care and treatment of mental diseases. Nursing communities may also provide special accommodations to residents with diabetes or other related issues. Nurses, doctors and other licensed health professionals in nursing communities help with activities of daily living, recreation, and general nursing care to people who are chronically ill or unable to take care of their daily living needs. There are 9 nursing home communities in Livonia that might be the right fit for your family’s needs. See below or click to view a list of the Nursing Homes in Livonia, MI. These facilities house certified health professionals to care for residents 24 hours a day. Nursing homes in Michigan may have multiple style housing units available for residents to choose from. Amenities that may be included in nursing homes are Physician services, special therapies, medications, personal care items, or laundry service may also be provided by communities. Livonia is a small city in the northwestern region of Wayne County, Michigan. Common things to do in Livonia include visiting The Laurel Park Place, One Under Bar and Grill and The Phoenix Theaters. Cities that are near the Livonia area include Farmington, Westland, Northville and Dearborn Heights, MI. The city of Livonia will surely provide for you and your loved one.